Drake’s new smash single “God’s Plan” has become the song with the fastest climb to a #1 spot this decade. Since 1999, no other song has made it so high so quickly on Billboard’s Mainstream R&B/Hip-Hop Airplay charts. The track moved from #5 to #1 on the chart dated February 24th. 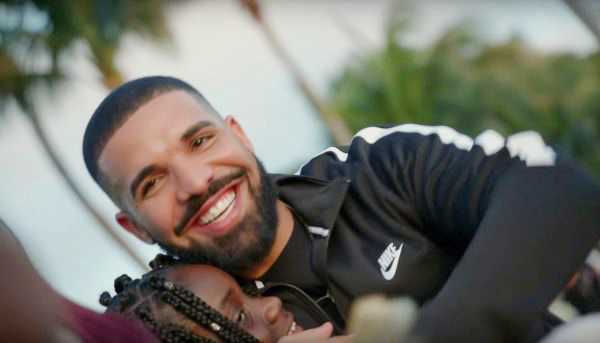 That’s a 25% gain in 1 week and Drake’s 30th number 1 hit on the chart in it’s 24 year history. That makes him #1 for #1’s on the chart as well. Lil Wayne is a distant second with 19 #1’s to his name. But it doesn’t stop there. The single also became the fastest single to make it to the top of the Rap Airplay chart since 2001. That’s his 27th #1 on that chart. Lil Wayne again comes in second for most #1’s on Rap Airplay with 13 – less than half of what Drizzy has. And it may not be over yet. Look for Drake to expand his urban radio empire perhaps as soon as next week, as “Plan” climbs to the runner-up spot on both the R&B/Hip-Hop Airplay and Rhythmic Songs charts. On the former, the song registers a 24 percent hike in weekly radio audience to 28 million in radio audience for the week. Meanwhile, “Plan” also picks up an equal 24 percent increase in weekly plays. As previously reported, “Plan” also extends its reigns on the Billboard Hot 100, Hot R&B/Hip-Hop Songs and Hot Rap Songs, ruling each ranking for a fourth week.